Your support for LocalWineEvents.com has helped us reach a milestone. To celebrate, we’re teaming with the Wine Enthusiast to give away 5 prizes, each valued at more than $500. As a Juice subscriber, you’re automatically entered to win. The Milestone: Our event notification e-newsletter — ‘The Juice’ — just hit 250,000 subscribers. That includes you. We have Juice readers in every U.S. state and in dozens of countries. The Giveaway: Every Juice subscriber is eligible to win. We’ll pick 5 names, at random. 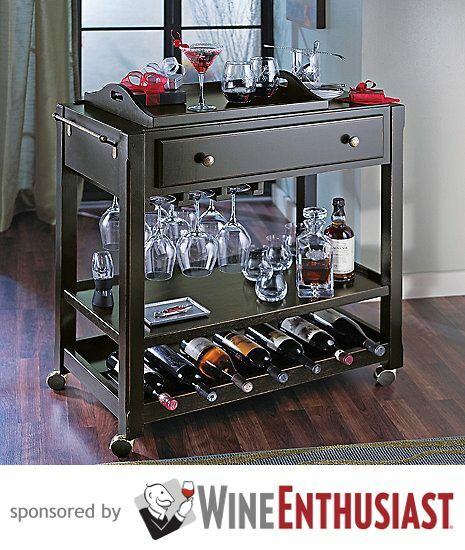 Each winner gets a Wine Enthusiast bar cart for FREE! If you win, you’ll be contacted at the same e-mail address you use for your Juice subscription. We’re proud to have reached the 250,000 subscriber mark. Of course, we couldn’t have done it without you. The giveaway is our way of saying thanks. Good luck!